#5....."WEEKEND IN THE COUNTRY" - BODIE 3.7 . you'll never walk alone ! I love a dischuffed Bodie! me too i also love a Bodie who is at best not pleased and therefore at his most dangerous . Thankyou for your comment and it's lovely to hear from you . Been a bit distracted by RL, catching up on the important stuff now! 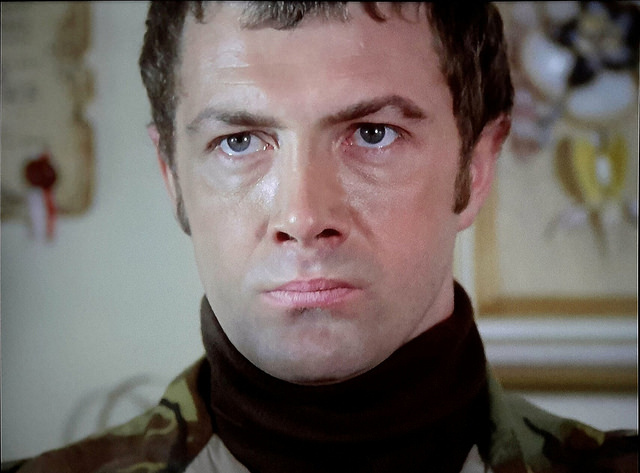 ahhh the tell tale signs of Bodie when he is at his most angry , the tightening of his lips and the growing frown . No he is not a happy bunny at all and this is a Bodie that i relish . Thankyou so much for looking . Angry Bodie is one of my favourite Bodies. Thank you! An angry Bodie is a sight to behold and one that i truly do revel in . He looks angry and boy does his face give that dangerous look right here . Thankyou for looking at this and for your comment. Mmm .. a perfect end to a brilliant day. Thank you! thankyou and you are always very welcome ...so glad that this gave your day the perfect ending and thankyou for looking . Ooh, Bodie's definitely working up a head of steam there! Look out! i do love a Bodie who is faced with unpleasantness as he becomes at his most dangerous and not by his looks here to be a happy bunny at all . Thankyou so much for looking and for your comment . Brilliant capture! I love so much an angry Bodie, who can just about contain his anger and frustration. thankyou , yes me too , a Bodie who can switch into dangerous mode in the blink of an eye is a Bodie who i relish and that is exactly the Bodie that i love right here . Glad you like it and thankyou for looking .